GENEVA — At a plenary session of the 71st World Health Assembly, during a statement in honor of the 100th birthday of former South African President Nelson Mandela, the World Health Organization Director-General Tedros Adhanom Ghebreyesus quoted the late leader: “It always seems impossible until it is done.” That sentiment, he said, could also energize member states to realize health care for all. 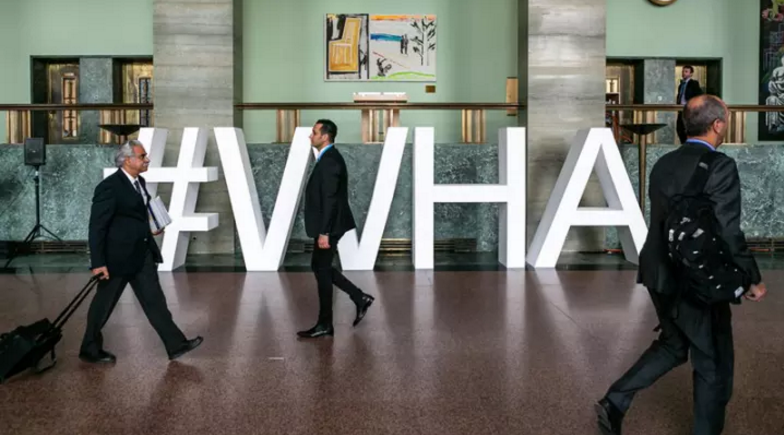 It is a fair assessment of the enormous tasks that lie ahead for global health leaders — as well, perhaps, of what the community accomplished last week at the WHA in Geneva. For months, the WHO Secretariat engaged in a wide range of consultations on its 13th General Program of Work, the strategic document that will guide the aid agency’s work from 2019-2023. Tedros’ aim to fast-track the plan’s approval seemed a lofty goal, given numerous questions from member states, including on financing and implementation. But on Wednesday, member states agreed to endorse it, setting the course for WHO to build the investment case for member states — which could be available as early as next month — and a wider donor base to fully fund the endeavor. A WHO team set up in a high traffic area of the Palais des Nations, near where two committee meetings were taking place, to advocate for more flexible funding for the United Nations aid agency. Less than 3 percent of WHO’s program budget in 2016-2017 was covered by flexible voluntary funding. A fully financed and flexible program budget will be critical as WHO’s new leadership faces an ambitious agenda that’s likely to have implications for staffing and workflows — but also in ensuring the agency has the resources to respond to emergencies, including in the event of a wild poliovirus outbreak as the Global Polio Eradication Initiative starts scaling down by 2019. WHO’s draft strategic action plan on polio transition details the financing and human resource implications of this move. While it is assumed that countries will shoulder the cost of integrating essential polio functions into their national structures, there is the risk of financial commitments not being met due to limited budgets or instability. In that case, the cost of integrating these essential functions could fall under WHO, impacting its resource mobilization efforts. And this adds to what the agency itself is dealing with in the transition. More than 700 staff in WHO’s Africa region funded through GPEI could face redundancy next year if funding to sustain their functions doesn’t come through soon enough, and they aren’t absorbed into other WHO programs. The cost of integrating polio programs can be financed through the WHO base budget in the GPW 13, extended GPEI support, country financing, or support through bilateral partners at country level, “depending on country capacity,” said Dr. Ranieri Guerra, WHO’s assistant director-general for special initiatives, following member state interventions on the report last Wednesday. Brazil’s representative reminded the secretariat that a loss in polio funding does not trigger an automatic increase in assessed contributions, and said the topic of budget should be on the agenda of all WHO governing bodies throughout the year. But others in the room reminded member states not to lose sight of the immediate goal. “We must not be too anxious to move on before we are finished. Polio eradication must remain our top priority,” said the representative from Rotary International. Not all discussions at the WHA were quite so diplomatic. Early in the week, some member states engaged in heated arguments regarding Taiwan’s observer status and the health of the people of Palestine. And seemingly everyone was arguing against the politicization of the WHA. “The body is about human health and global safety, not politics,” said the representative from the Marshall Islands in support of Taiwan reinstating its observer status at the annual gathering. In a separate session days later, the representative from the United States, a long-time ally of Israel, argued that the assembly should be focused “purely on public health” and should not be “sidetracked by political issues.” His message was in response to a draft decision put forward by more than 20 member states in response to the WHO director-general’s report describing the dire health conditions in the occupied Palestinian territory. Yet overcoming many of the health issues member states tackled this week requires — perhaps above all else — political participation. One of the goals of the high-level meeting on noncommunicable diseases in September is to gain as much attendance by heads of states as possible, believing that participation at the highest levels of government would lead to significant commitments and investments in tackling cancer, diabetes, and heart and lung disease. Tuberculosis advocates are also hoping for similar levels of commitment from countries at the first U.N. high-level meeting on TB, which is taking place a day before the NCDs event. Some expressed concerns that the proximity of the meetings could confuse government leaders on where to invest, and that the NCDs and TB advocacy communities are not collaborating enough to raise the profile of both events. But others have underscored how tackling both issues benefits both sides. And likewise, serious political commitments will also be critical in ensuringhealth systems are better prepared to tackle deadly outbreaks of Ebola as well as the growing threats of antimicrobial resistance. While an urgent response to the Ebola outbreak in DRC is currently underway, there is room for improvement in detecting, responding to, and preventing outbreaks such as Ebola, said Dr. Tom Frieden, president and CEO of Resolve to Save Lives and former director of the Centers for Disease Control and Prevention. Dr. Tom Frieden on the Ebola response. Midweek, WHO and the World Bank Group launched the Global Preparedness Monitoring Board to monitor and report on the status of emergency preparedness globally. It will be co-chaired by former WHO Director-General and former Prime Minister of Norway Gro Harlem Brundtland and International Federation of the Red Cross Secretary General Elhadj As Sy. Member states have asked WHO to develop a roadmap to addressing the global shortage of — and access to — medicines and vaccines, to be presented in the 72nd World Health Assembly. As Devex reported in January following the executive board sessions, the issue has become particularly significant in both developing and developed nations, where populations pay out of pocket for increasingly expensive medicines and vaccines. But even before member states formally agreed on the need for a roadmap this week, a number of individuals from government, NGOs, and academia were already identifying what they expect WHO to address. But they soon realized they didn’t have any idea how to go through the process — even which government authority would be responsible to declare the public health need. And the patent office didn’t have guidelines on royalties. “That led us to the conclusion there is an urgent need for WHO to look at whether countries have the capability to run such process,” he said, referring to countries navigating the flexibilities provided in the trade-related aspects of intellectual property rights, or TRIPS, an international, legally binding agreement between countries and the World Trade Organization. He also underscored the importance of having WHO build the capacity of ministries of health to engage in the policymaking of patent granting and also in financing research. It took Chile a year, he said, to realize that a cancer drug they were hoping to declare under compulsory licensing was, in fact, not under any patent. Others in the panel suggested the need for WHO to develop a strategy pursuing “delinkage” in the pricing of medicines, and pursue transparency in the cost of production. Dr. Mariângela Batista Galvão Simão, WHO assistant director-general for drug access, vaccines, and pharmaceuticals, listened intently to the suggestions, emphasizing afterward her awareness of the huge expectations for the roadmap. Health experts and campaigners working to help save some of the 100,000 people killed each year by snakebite are celebrating, after a WHO resolution saw 194 countries affirm the need to boost access to quality antivenoms and prevention efforts. Discussions on access could have trickle down effects on other less popular issues such as assistive technology and snakebites. The latter kill around 100,000 people each year, mostly in poor countries, and leaves around 400,000 others permanently disabled. While the issue has generated comparatively little attention internationally, like any other health issue, the snakebite burden is increased by poor country regulations, weak health systems, and lack of market incentive to produce antivenom medications. Member states also agreed to implement a roadmap for cholera prevention and control that aims to reduce deaths from the disease by 90 percent by 2030. Cholera infects about 2.9 million people, and kills an estimated 95,000 people annually. The resolution calls on member states to strengthen surveillance and early reporting of cholera, a move that could ease complexities in responding to outbreaks of the disease in places where governments fail — sometimes deliberately — to identify the disease. The assembly also endorsed a new global action plan on physical activity. Tackling each health issue in the agenda — including achieving the goals of the GPW — hinges on the inclusion and active participation of a wide range of stakeholders, not just WHO. At this year’s WHA, Tedros repeated the need for partnerships. He attended a civil society event discussing engagement with WHO, which included a presentation of draft recommendations for how the aid agency and CSOs can deepen their engagement, as well as an annual gathering of women championing women leaders in global health a day before the opening of the WHA. Women in Global Health, which hosted the event, also held consultations with WHO on how to advance gender issues at the organization. Tedros’ senior adviser on gender and youth, Diah Saminarsih, also engaged young professionals in a youth town hall that took place at the WHO headquarters. The renewed attention to partnerships is largely driven by the GPW — and some believe it is also thanks to new leadership at WHO. “For five or six or more years, The Lancet, together with many other members of the academic community, has been desperate to partner with WHO in bringing together the academic community with the global health political community as embodied by WHO — and we failed! WHO didn’t want to work with us, and we were sulking off into the sun when Dr. Tedros became DG, and we tried one last time, and he has opened the doors for WHO to partner with organizations, and this is a total change in culture,” he said. Thomas Cueni, director general of the International Federation of Pharmaceutical Manufacturers and Associations, meanwhile, agreed with the director-general’s statement that partnerships will be key in achieving health for all. Still, partnerships are a tricky business and WHO will need to find the balance between engaging in meaningful partnerships while avoiding potential conflicts of interest. One of Tedros’ leadership commitment is to bring more diversity to the organization. And one of the ways in which the WHO director-general aims to do that is by bringing in more interns from low- and middle-income countries across the organization, with the goal of having 50 percent of interns to the organization coming from developing countries by 2022. To increase their participation, WHO also announced plans to provide its interns health insurance, stipends, paid time off, and lunch vouchers by 2020. The Wellcome Trust has announced it is supporting the new internship program by funding 150 internship placements from low- and middle-income countries over the next three years, but it will take broader financial support from member states and other WHO partners to sustain the program, including Tedros’ plans to re-launch the WHO scholarship program for students from low- and middle-income countries to be able to study abroad. The organization still has a lot of work to do, however, in diversifying its staff. Several member states are still not represented or underrepresented within the organization. Across the organization, 32 percent of director-level positions are filled by nationals from developing countries. At headquarters, the disparity is even larger, with only 10.9 percent of directors coming from developing countries. 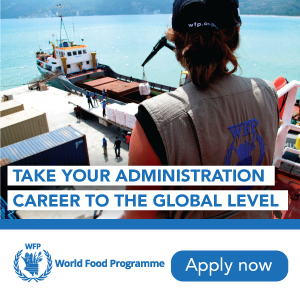 The goal, under the GPW, is for at least one-third of director-level positions at headquarters to be filled by developing country nationals.